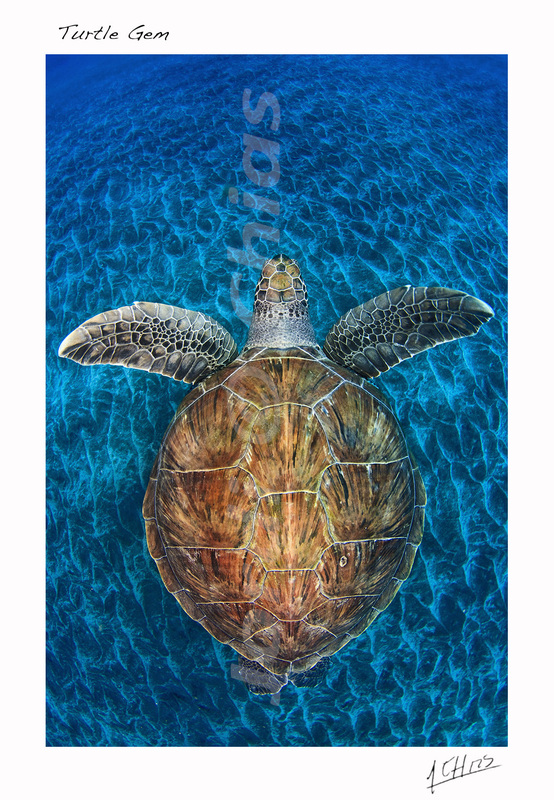 Green Turtle swimming over a sandy bottom. The volcanic sand ripples in the bottom makes an intertesting background with a beatiful texture. South Tenerife, Canary Islands, Spain, Atlantic Ocean.